One of the best kitchen investments I have ever made is the slow cooker that I bought this year. Allow me for a moment to sing its praises… For a mere $11, a lovely 4-quart slow cooker was shipped to my door (a slick deal indeed!) 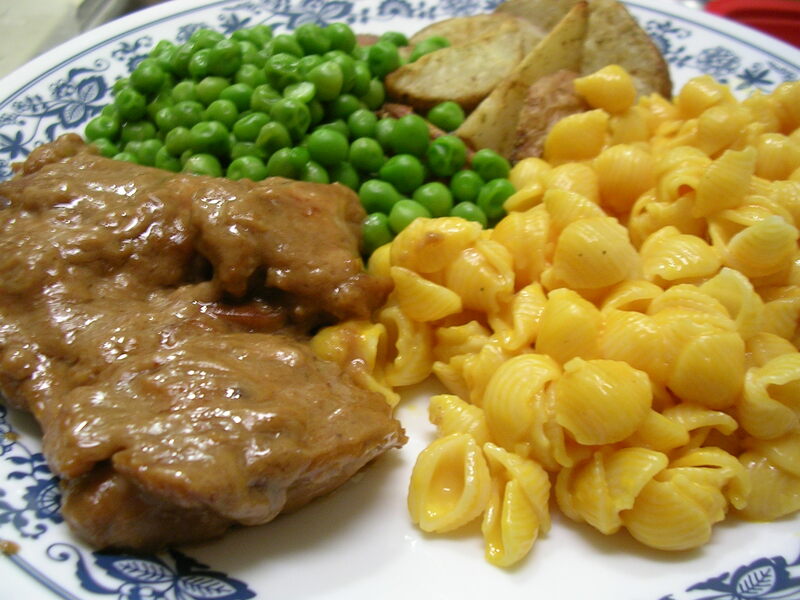 Since that day, I have been salivating over all the delicious things I can make effortlessly in a slow cooker, all without turning on a stove or stepping outside my dorm room. It is the best appliance ever for a busy student like me, as well as for anyone out there who would love to have hot, homemade food without spending time cooking. You rarely have to check on the dish either, since slow cookers keep the liquids from evaporating, so food does not dry up and burn. The longer you cook meat in a slow cooker, the more tender it gets, until eventually it just falls right off the bone. 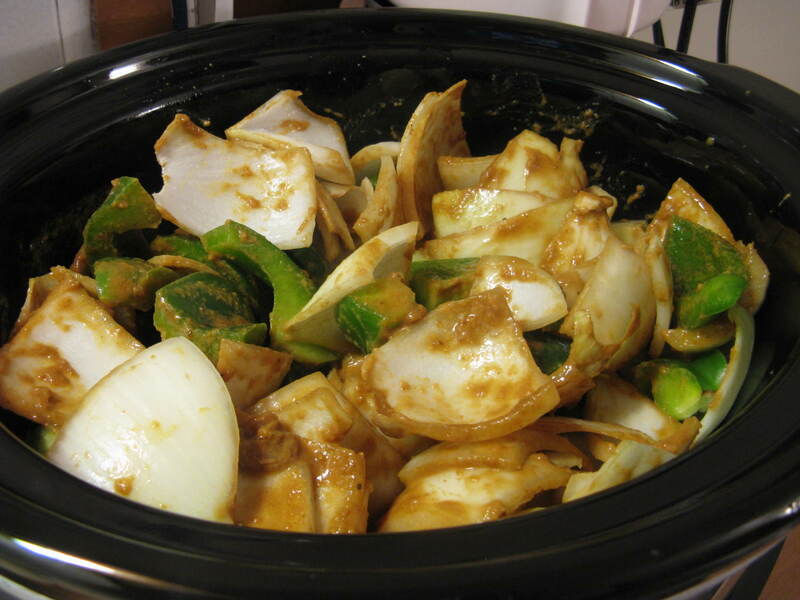 In fact, I always have to prevent myself from constantly opening the lid to check up on the wonderful stuff stewing in my slow cooker, since opening it releases heat and slows down the cooking process. 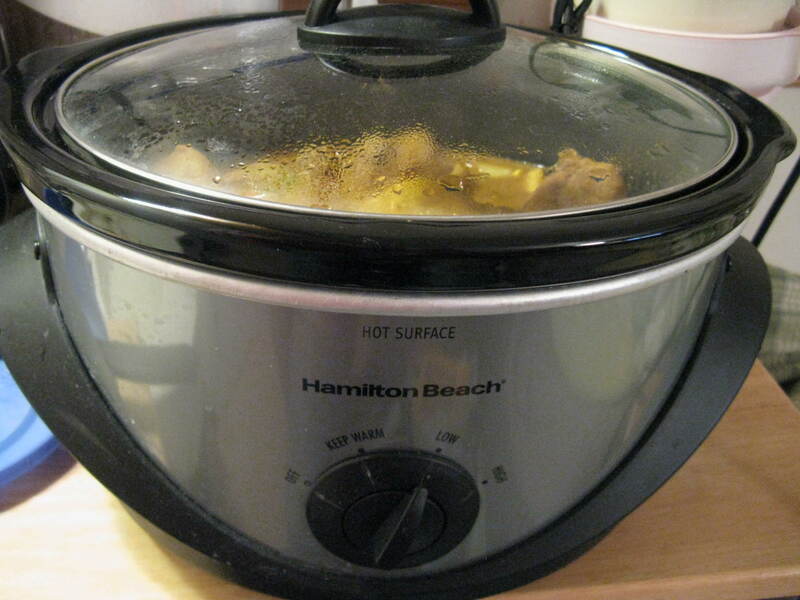 But… when my slow cooker sits in the same dorm room that I live in… it is impossible not to gravitate towards the delicious smells that fill my room! Also, since slow cookers are, by definition, cookers that cook slowly with low heat, I often like to take advantage of the nighttime, to cook in my slow cooker while I am sleeping! (Genius, if I do say so myself). With so many recipes calling for a cook time of 6-8 hours, it is ridiculously easy to throw the ingredients into the slow cooker before bed, and wake up to a pot of food that I can eat for lunch and dinner that day, all without spending time cooking over a stove. Yes, I am absolutely in love with my slow cooker. 1. 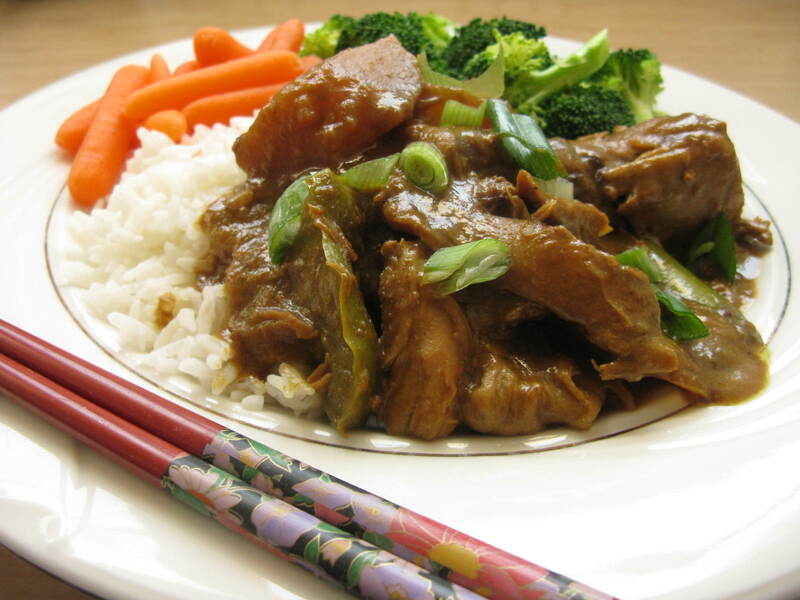 Stir together lime juice, peanut butter, soy sauce, chicken broth, hoisin sauce, and curry powder. The peanut butter doesn’t have to be completely well-dissolved, but do your best. Set sauce aside. Prepare vegetables. 2. Place sliced garlic at bottom of 4-quart slow cooker. 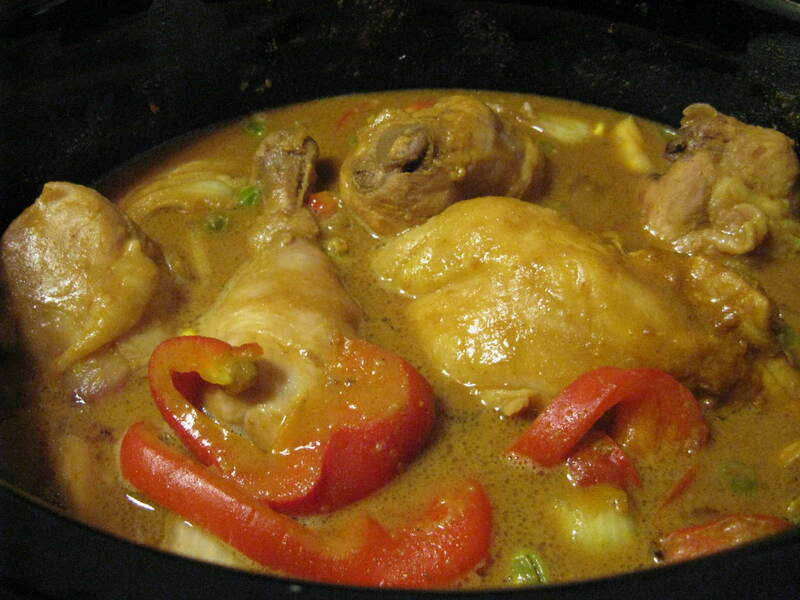 Place chicken thighs on top, spreading them out to cover the bottom of the cooker. 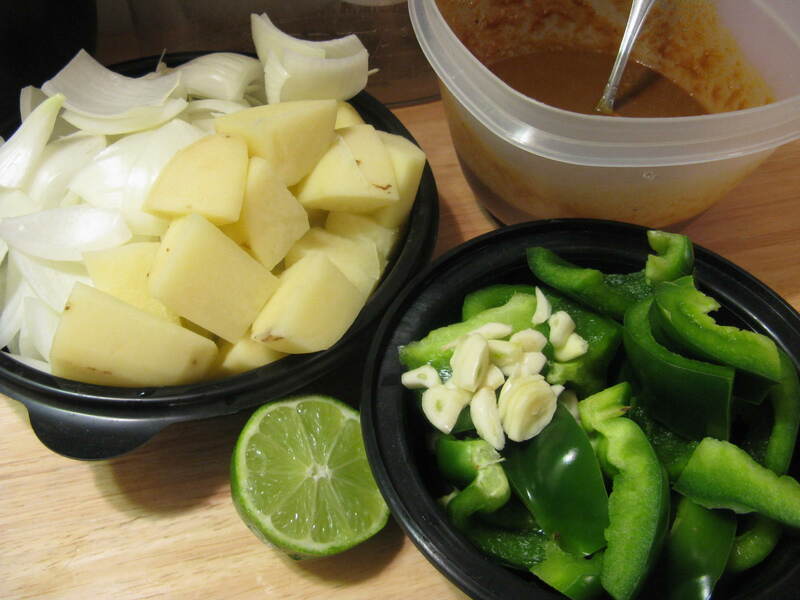 Add potatoes next, and finally the peppers and the onions. 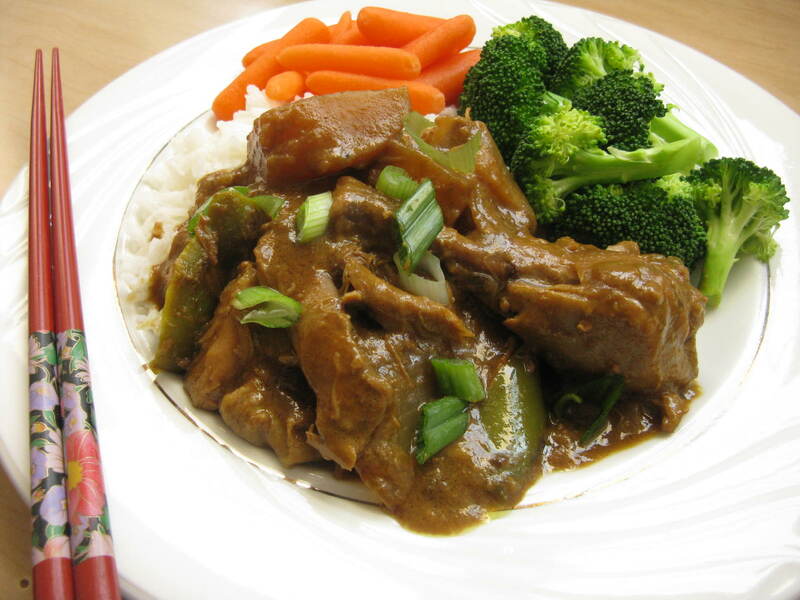 Pour prepared sauce into slow cooker. 3. Cover and cook on low for 4 hours, then increase heat to high for 2 hours. (Or you may cook on low for 6-8 hours, or on high for 4 hours). Stir contents once or twice after initial 4 hours, but refrain from opening lid to check on the dish! 4. Adjust sauce for taste at the end as needed. If you would like a thicker sauce (which I always like), you may remove the chicken and boil the sauce on high with the lid off, or add a cornstarch slurry and allow to boil on high with the lid on until thickened. Serve over rice, top with freshly chopped scallions and enjoy! Mmmm! I have never made tapioca pudding on my own before, but there’s always a first time for everything! This recipe is super simple and makes for a surprisingly rich and velvety pudding that leads with its coconut flavor in every spoonful. If you are a coconut lover, I promise you will go nuts for this pudding. 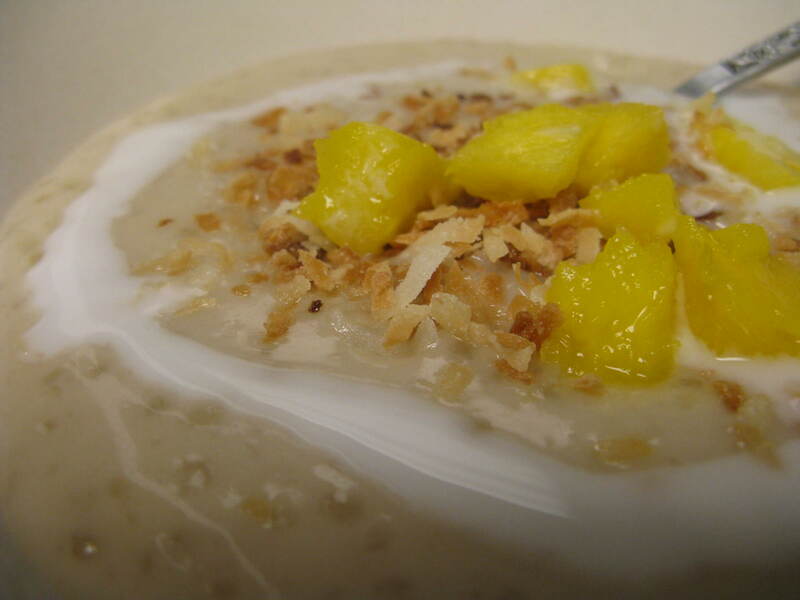 I combined ideas from several different recipes I saw online, adapting the pudding itself while adding mango chunks and toasted shredded coconut for a more sophisticated, Thai-inspired flavor. 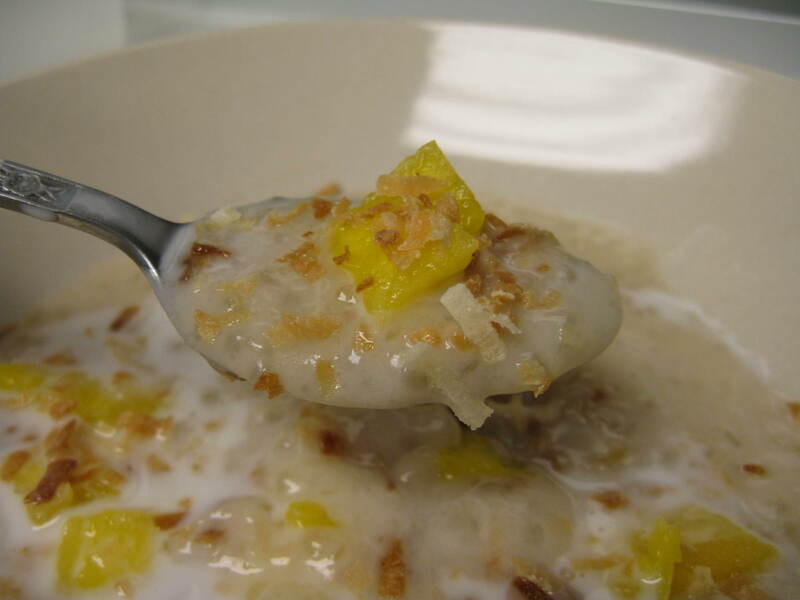 This coconut tapioca pudding is so easy to put together and yet has several components that come together for an elegant and tropical presentation, I’m sure you will impress your guests when you serve it as a finale to your Asian-themed dinner. For bonus style points, I also highly suggest serving it in classy martini glasses! 1. 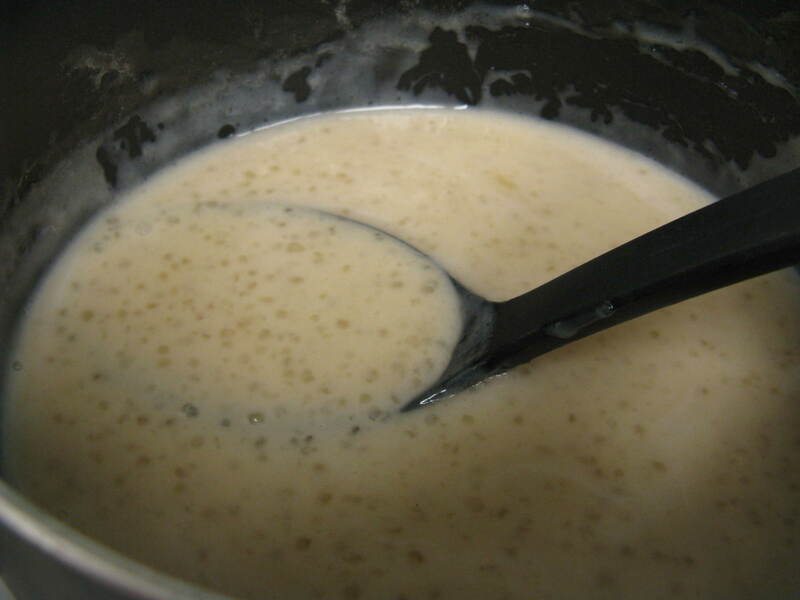 Soak mini tapioca in lukewarm water for 15-20 minutes, stirring once or twice. Strain excess water and place tapioca in a medium saucepot. 2. Reserve 2-3 tbsp of coconut milk and set aside. Pour remaining coconut milk into the pot with the tapioca. Add salt, and gently stir contents while bringing them to a boil on high heat. 3. Reduce heat to medium-low and simmer for 10-15 minutes until tapioca are completely translucent in the center and the pudding has thickened up, stirring occasionally. You may add the milk in small amounts until you reach a pudding consistency that you like. Halfway through the simmering process, stir in the brown sugar until dissolved. 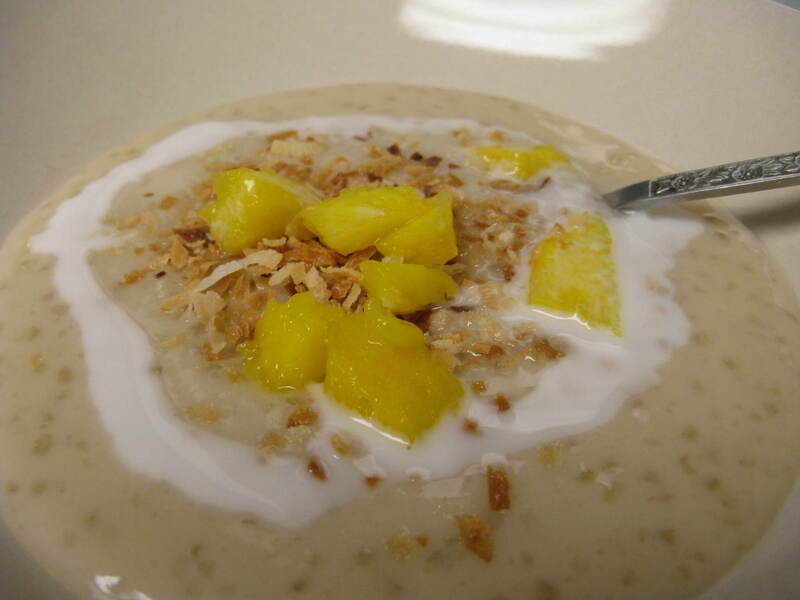 Note: you may use granulated sugar if you would like your coconut tapioca pudding to be a whiter color, otherwise the brown sugar will make the pudding a light caramel shade. 4. Once your pudding is done cooking after you have adjusted for taste and consistency with the milk, remove pudding from heat and stir in vanilla extract. 5. Assemble your pudding when you are ready to serve it (it was delicious warm but you may also consider chilling it first also). 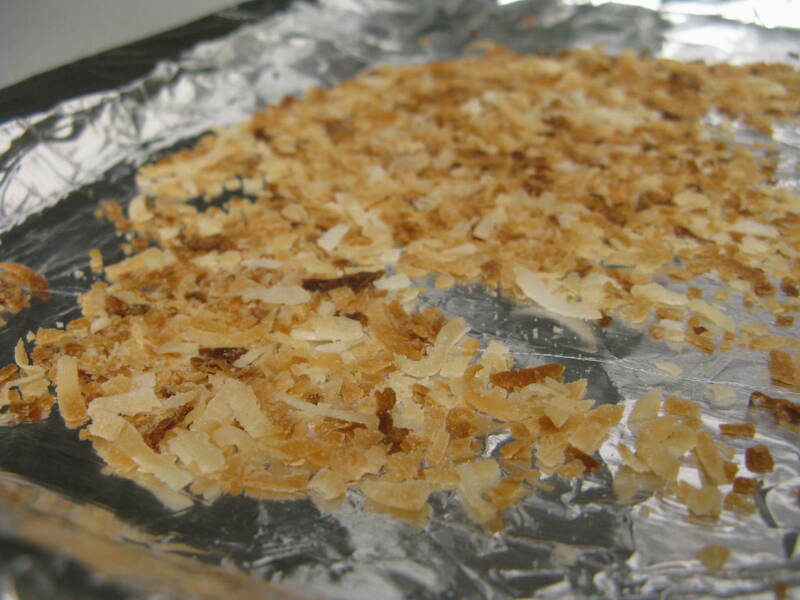 Spoon the pudding into your bowl, top with toasted shredded coconut and chopped mango pieces. Finally, drizzle on your reserved coconut milk to finish it all off, and serve immediately. Enjoy!! 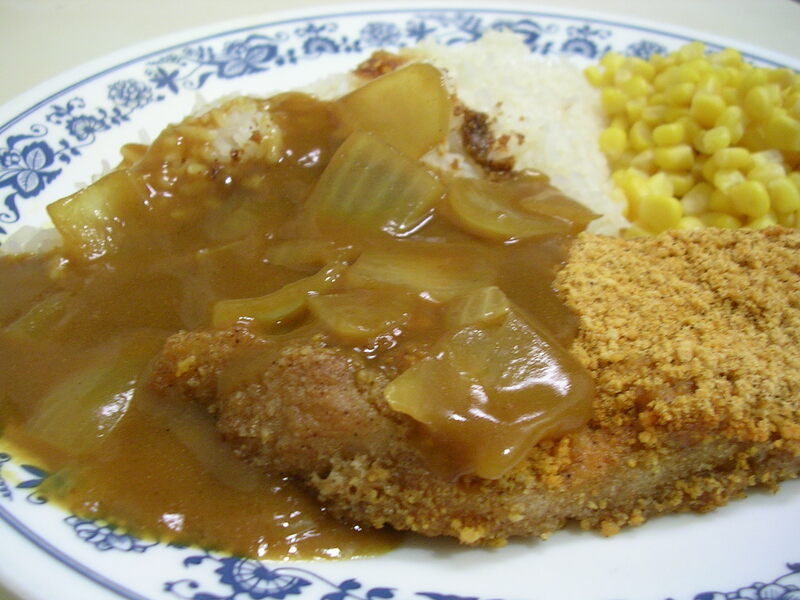 In my ever-continuing quest to mimic Cafe Mami's pork cutlet curry in the comfort of my own home, I had the idea to make mock pork cutlet by taking pork tenderloin and baking it in Shake n' Bake to get a crunchy coating. I also had some Vermont House brand Japanese curry roux cubes, so my boyfriend and I whipped up this dish for dinner. We only had onions in the curry sauce, but we kept it separate from the meat unlike last time when I made it. The taste was actually quite good, though we could have used more sauce and less onions. The only thing was that the flavor of the Shake n' Bake crumb coat on the pork competed with the curry flavor (unlike the milder flavor of simple fried pork cutlet), and the tenderloin was very lean, which was a bit different in texture from the restaurant cutlet (read: fatty). But hey I'm getting closer to the real thing, and this is probably about as healthy as the dish is going to get heh. My boyfriend made this yummy dinner for us on a night when I was busy experimenting with another baked good that I'll post momentarily :P He used fresh ground lean pork for the meat, and added onions, garlic, home-grown tomatoes from his aunt's backyard, milk, and some jarred pasta sauce for this tasty bolognese sauce. Only he knows the entire recipe, but I know that you first saute the onions, then you add the ground meat and cook until just starting to brown. Then you add the tomatoes (we substituted the fresh tomatoes for the canned crushed tomatoes in the recipe), milk, and water and let it stew for a while to break down the tomatoes. 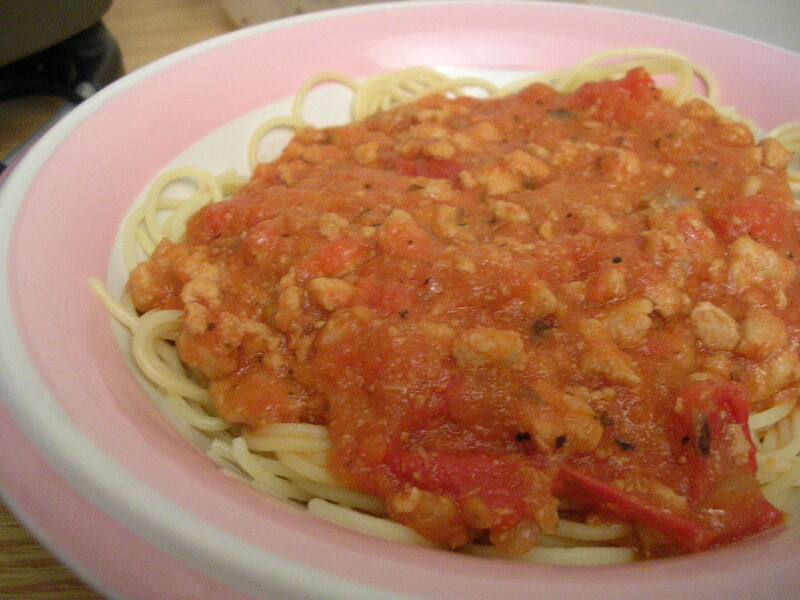 Finally he added some jarred pasta sauce to give the flavor a boost, and the final product was definitely legit. It went perfectly with spaghetti, and I imagine it would have been quite good with a side of homemade garlic bread as well. This was a meal made using the help of a small George Foreman grill! Okay, admittedly I am not very adept at using it, and I was always afraid I'd set off the fire alarm from producing too much smoke. I marinated chicken thighs in a mixture of Grey Poupon (my favorite) dijon mustard, honey, garlic powder, and onion powder. Then I threw them on the Foreman grill with some cooking spray, and closed the lid. But the sugar content in the honey mustard marinade began to burn very quickly, as I hadn't thought of the fact that the recipe was designed for real grills where charring is okay, whereas I definitely didn't want smoke and charring in my room. So I shifted the grill into the hallway next to a window to finish grilling the chicken, and it took a while b/c the thighs were thick. So by the time I was done, the outside of the chicken was blackened, you can see it in the picture above. The flavor was really good, as you could taste the honey mustard sauce and since I grilled the chicken until it was just done, the meat was still very juicy. 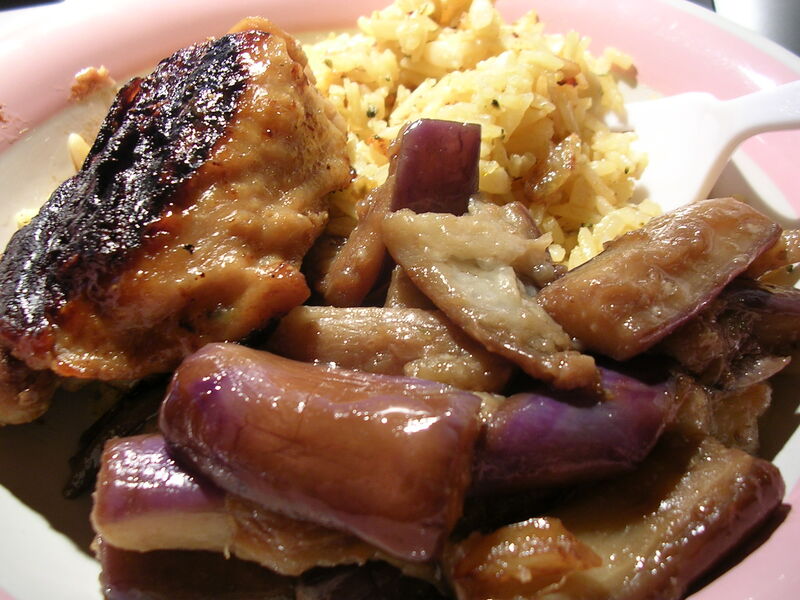 My boyfriend went about cooking up some Chinese eggplant with garlic, and we made some chicken flavored Rice-a-Roni on the side. The whole meal came together nicely, I just wish cooking the chicken hadn't been such a hassle lol. My parents took me out to a new dim sum place the other day, called Jin. I've gone there before for their 24/7 Chinese buffet whose selection (and price tag) is the largest of any Asian buffets in all of North America. They have Peking duck, lobster, sushi, prime rib, and all sorts of other foods and desserts that you could possibly want. Anyway, I digress. They have started offering a new venue which is Saturday morning dim sum. Every single dish regardless of size or ingredients are $1.99. In comparison to all the other dim sum places in Chinatown, this price is phenomenal. 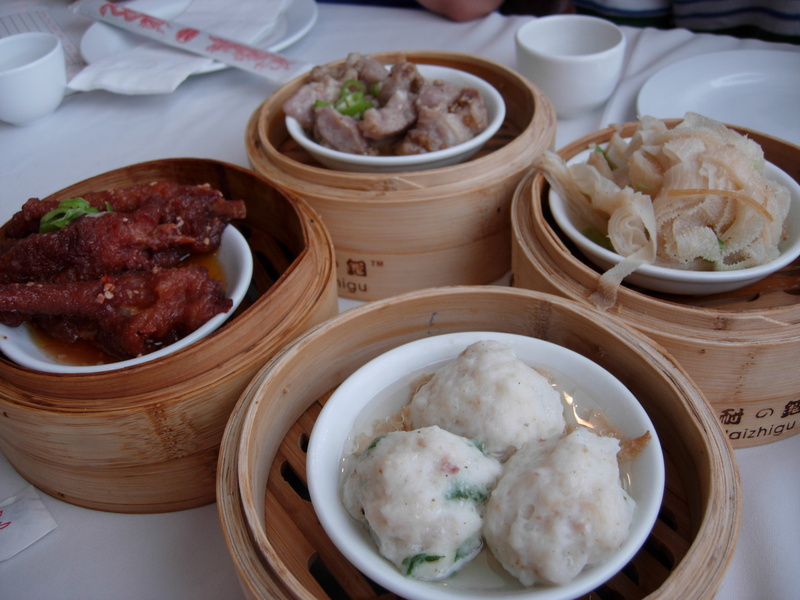 Dim sum is usually offered at about $2 per small dish, $3 per medium dish, and $4-5 per large dish. So it's a huge savings, with the downside being the location (Jin is like a 20 minute drive from Chinatown), and the somewhat limited variety. In the picture above, clockwise from the top dish, we have pork ribs in with black bean, steamed beef tripe, fish balls with ground pork filling, and stewed chicken feet, which is also often called Phoenix claws in Chinese. 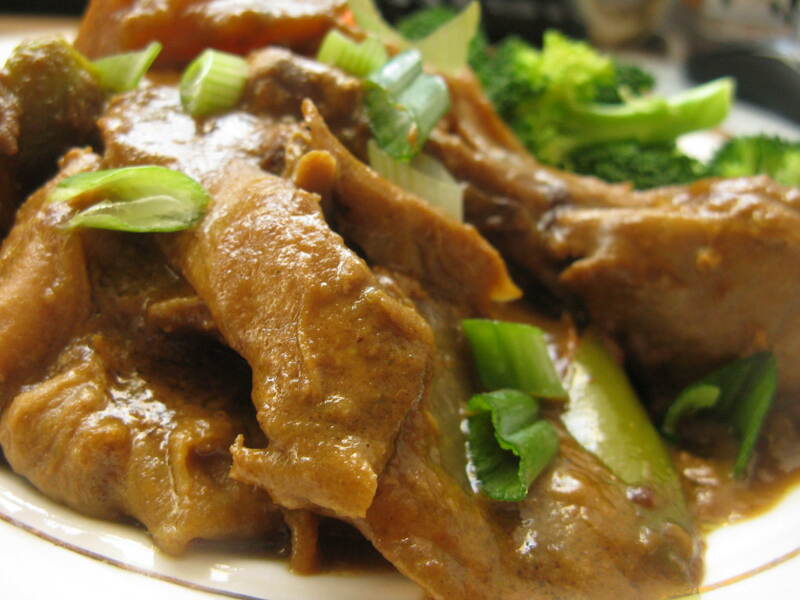 I despise tripe, but the other three dishes were yummy. Chicken feet and pork ribs are two of my dim sum favorites! 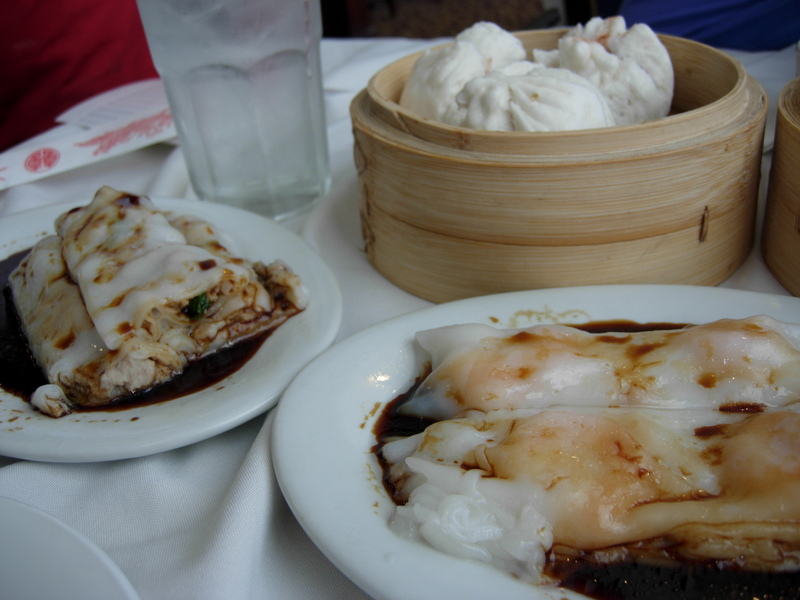 Here we have roast pork buns at the top, flanked with dishes of shrimp-filled and ground beef-filled chang fun (which are steamed rice noodle rolls), in a soy ginger sauce. I love the shrimp chang fun, because they are tender and mild, and when they are made fresh the rice noodle wrap slides down your throat without feeling sticky. It's a real pleasure to eat. 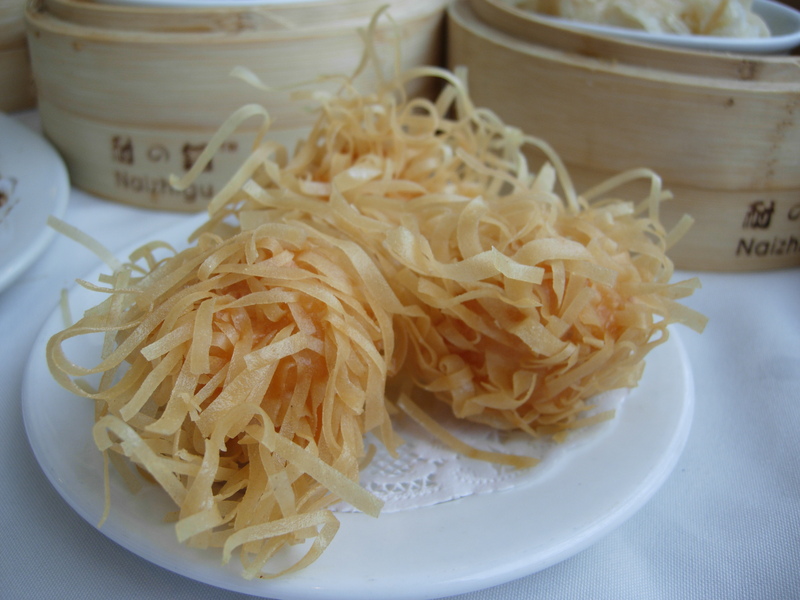 These are called dragon puffs (or something like that, I can't remember anymore), but they are a ball of ground shrimp with a fried outer coating of shredded wonton wrapper. It's a delicately crispy (albeit messy) puff and the flavor of the shrimp inside is enough to ensure that the puff isn't too bland. I just though they were quite pretty, but I'm not too big on the fried coating. Dessert was a fudgey molten chocolate cake (that I really wish I had more room for). 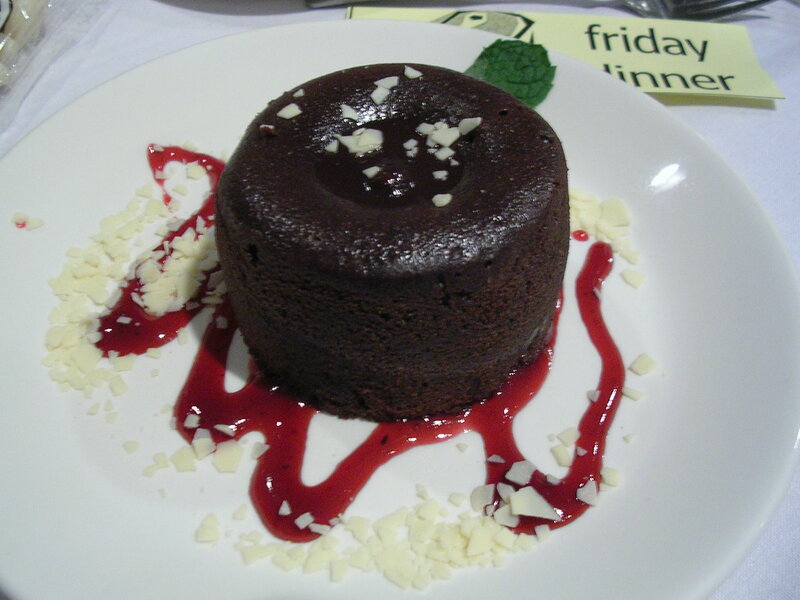 It was different from the molten chocolate cake from places like Finale, because the outer cake layer was very fudgey as opposed to cakey. The center was of course still melted chocolate. 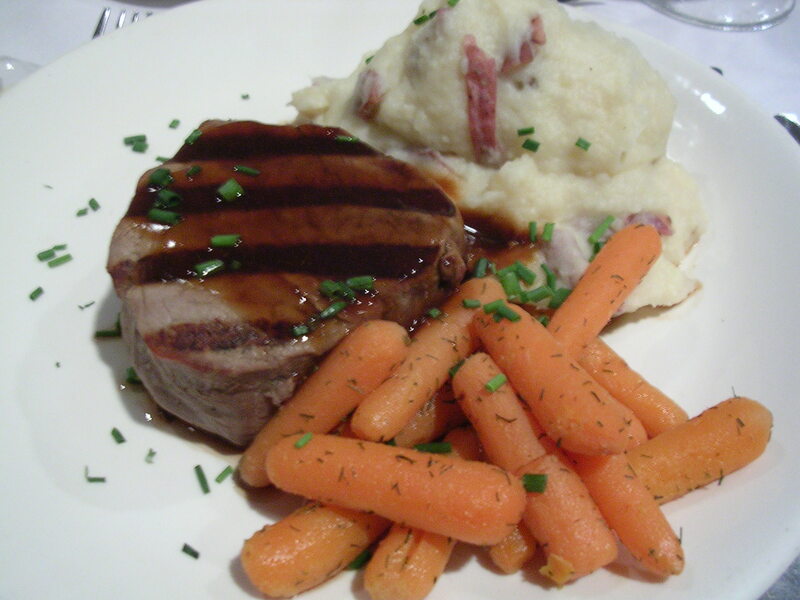 It was warm and sweet, pairing quite well with the tartness of the raspberry sauce. Just thinking about it now is making me a little weak in the knees haha. Seriously, if there was any simple comfort dessert that could always hit the spot, it would be something like this. Mmmmm…. Um yes this should be self-explanatory. 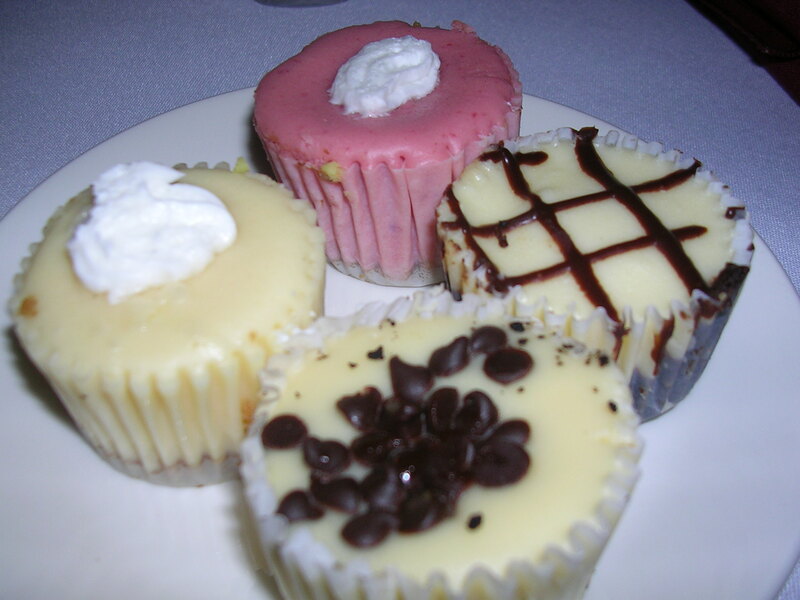 Don't make me go back in the detail about how sinfully good the desserts were :P I tried to control myself and only ate about half of each baby cheesecake. Yay. 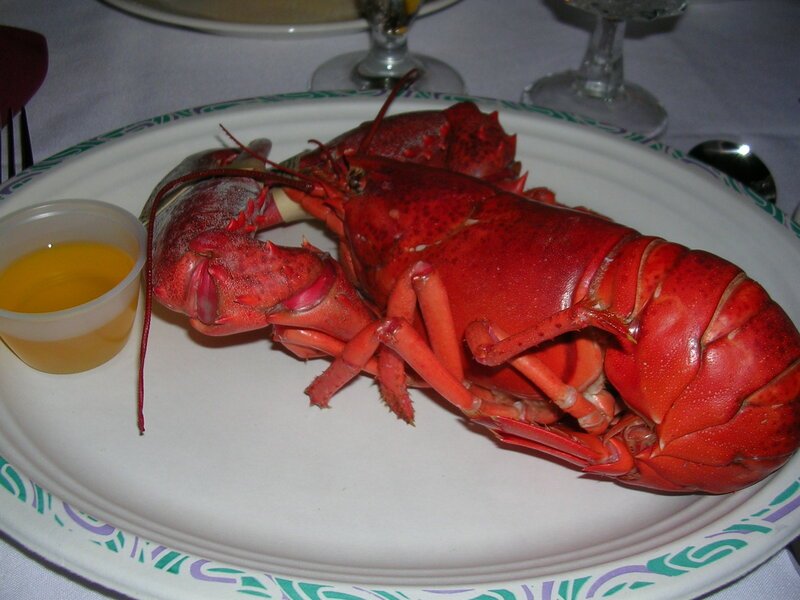 And of course, the highlight of the weekend was all-you-can-eat steamed lobster! It was funny watching everyone else trying to eat lobster like an amateur, they don't even eat the meat from the head! They only know to eat the tail and the claws. What a waste of great lobster meat. It was funny, because we had the dinner in an outdoor tent area, and it was so chilly at night that my drawn butter re-solidified before I even tried to use it for dipping. Haha kind of defeats the purpose, but maybe that was for the best. I had 2 lobsters before I started to feel kind of sick of the texture and flavor, and finished off with a few slices of refreshing watermelon. What a luxury! Back from meeting. I ate my leftover pad thai with roast pork that I brought back from the galleria yesterday. Baker spring formal isn’t really a formal… it’s more of a semi-formal event where people dress up a little and enjoy a catered meal with free champagne and wine in our decorated dining hall. This year I went with my friend and we got a chance to catch up, which was nice. The food was mostly Italian. I had 3 medium sized meatballs (I know, isn’t that random? It didn’t have pasta to go with it), and 3 chicken wings. Some random bites of mixed greens. One white chocolate with macadamia nuts cookie. One glass of Chardonay champagne. The entree part was pretty weird huh. Just meatballs and chicken wings. The only other option was baked manicotti, which I despise. Shells stuffed with ricotta cheese and bathed in marinara sauce really just isn’t my thing. Oh well, even though the food wasn’t that exciting, it was free at least, and I had fun hanging out with my friend Vicki.